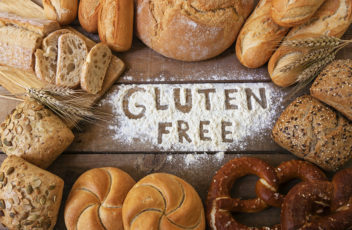 With Gluten-Free Diet Awareness Month coming around in November, now might be the time to talk to your aging family member about reducing or even eliminating the gluten in her diet. Most people eat more gluten-containing foods than they realize and there are some possible benefits to going gluten-free even temporarily. Inflammation is behind a lot of health issues, especially for older adults. Even if your senior doesn’t think that any parts of her body are battling inflammation, she might be surprised. Ailments like arthritis are closely linked to inflammation. Anything that can help to reduce inflammation is something that your senior might want to try out, even if it’s not something that she sticks with long term. People with celiac disease may have dramatic and painful reactions to gluten in their diet. Your senior may not have celiac disease, but she may find that by reducing the gluten that she’s eating, she may see a change in how her gastrointestinal tract functions. Along with reducing inflammation in the gut, removing gluten can remove something that has been a minor irritant for your elderly family member. 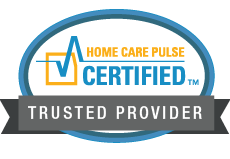 This doesn’t have to be a permanent change, but your elderly family member may find that she has fewer gut issues. Brain fog is annoying and can show up for a variety of reasons. In simplest terms, brain fog is simply having a difficult time thinking clearly or even focusing. Your senior might find that by adhering to a gluten-free diet even temporarily can help to reduce the experiences that she has with fuzzy thinking. When you take gluten-containing products out of your senior’s diet, you make way for other nutrients to come to the forefront. She may start eating a different variety of foods that allow her body to rebuild deficiencies that maybe were subtly impacting her health. Talk to your elderly family member’s doctor about what types of foods she should consider eating while she’s going gluten-free.